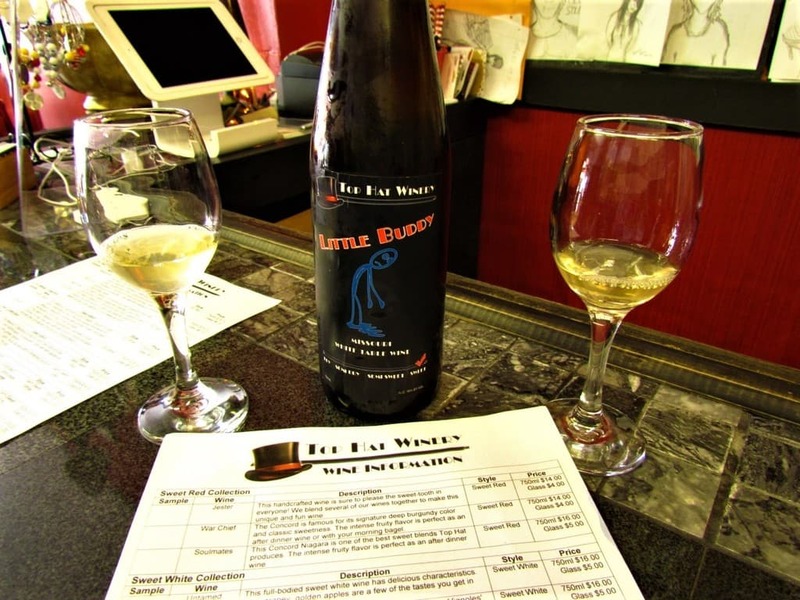 The past few years has seen an increase in the localized breweries and wineries. 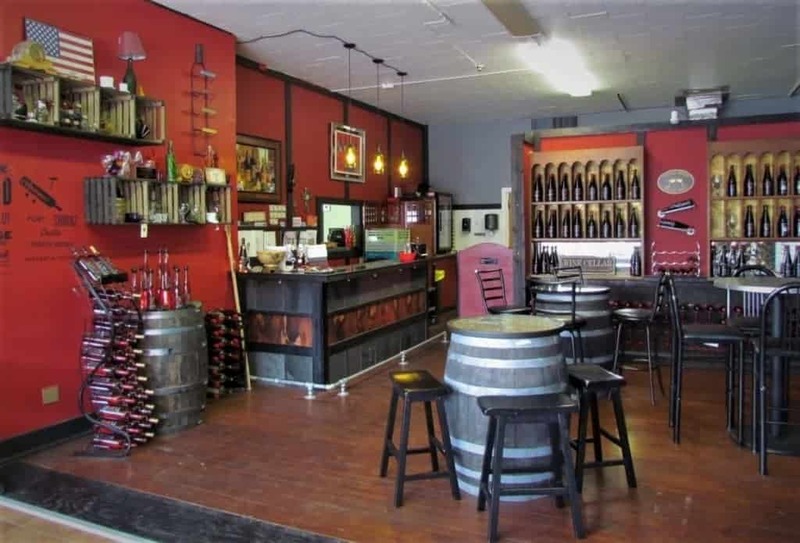 Top Hat Winery, in downtown Independence, Missouri is a prime example. Located at 120 S. Main Street, they are just a stone’s throw off of the historic downtown square. We stopped by on our day trip to check out their offerings. 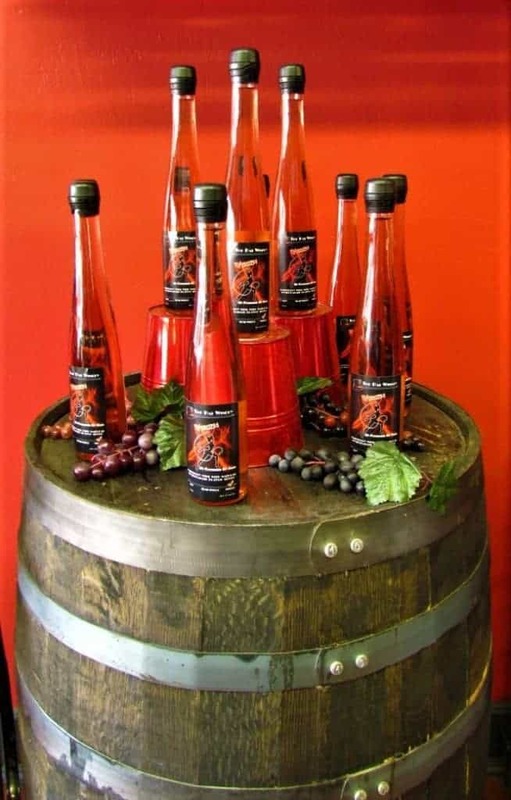 Top Hat Winery is a family owned business, which means that there is always plenty to do. On the day of our visit the owners were away from this location. We found out that they are in the process of opening a second site, which is a testament to the popularity of their wines. Fortunately, their staff is all well versed in their products, and didn’t miss a beat. the interior of Top hat is divided into two main rooms. We entered into the area that hosts the wine tastings, as well as showcasing their extensive wine selection. The room is large enough to hold three tables, as well as the tasting bar. 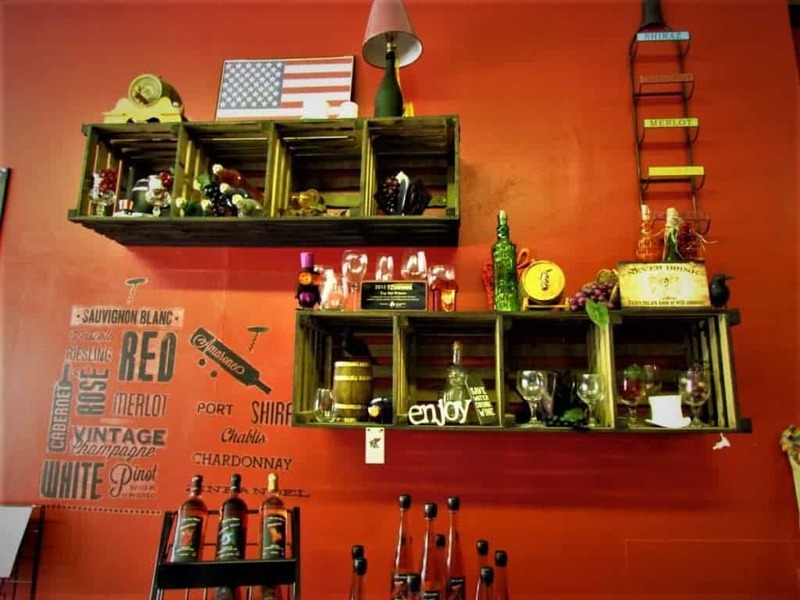 All along the walls are displays of their products, as well as some various accouterments to use when serving your wine. The other room is basically a large dining style hall. It is set up with an assortment of tables, and is used to host events and parties. 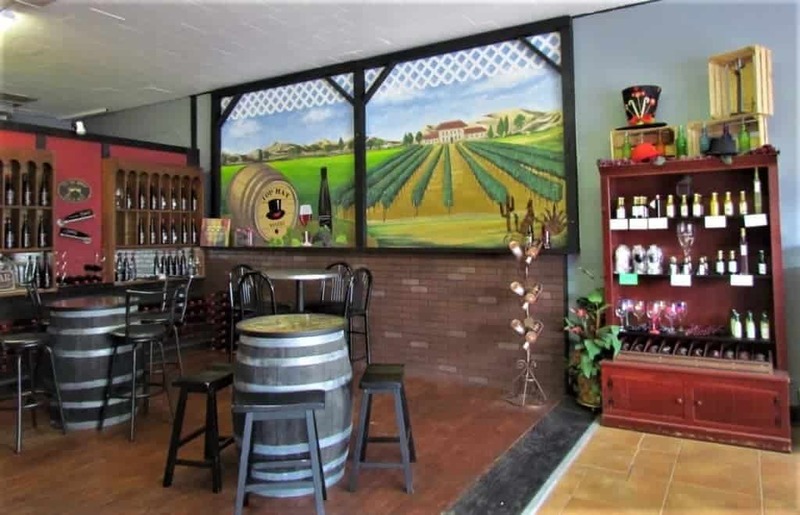 The winery has events on many of the weekends, and include things like painting parties and live music. Most of the events are geared toward an adult crowd, but after all it is a winery. Well we had our tour of the place, and now it was time to get down to the serious business of wine tasting. Okay, let’s get real here. We are not wine connoisseurs, but we know what we like when we taste it. Many times we have had our wine choice at restaurants looked down upon, since it didn’t fit into the expect norm of wine pairing. That is one of the reasons we enjoy so many of these craft wineries. (If that isn’t a phrase yet, I predict it will be soon.) Most of these places are just presenting the wines for what they are, and let people’s tastes dictate their choices. That is perfect for us, since we couldn’t identify tannin from talcum. The only thing we know for sure is when we taste something we like. As I eluded to earlier, Top hat has an abundance of varieties of wine. These include six they list as dry, ten semi-sweet, and ten more in the sweet category. That is more than one usually sees in small batch wineries. With this many offerings we were sure to find some we liked, and we did. To sweeten the deal, they have some interesting names and labels for their products. Customers can choose between wines with names like; Assassin, Shameless, Leprechaun, Woe is Me, Incognito, Little Buddy, and Crystal’s favorite, Vixen. Our visit occurred just before dinner, which was within walking distance. This meant that we could test out multiple varieties, and have time to be sensible in time to head home later that evening. Our wine guide walked us through the semi-sweets, and landed in the sweets, which are our favorites. After a lot of tasting, we settled on a couple of varieties, and purchased some of each. With bottles in hand, and smiles on our faces, we thanked our host, and headed off to explore more of the Independence Square. We know for sure that this will be a place we visit on our return to the area. Have you tried their wines?